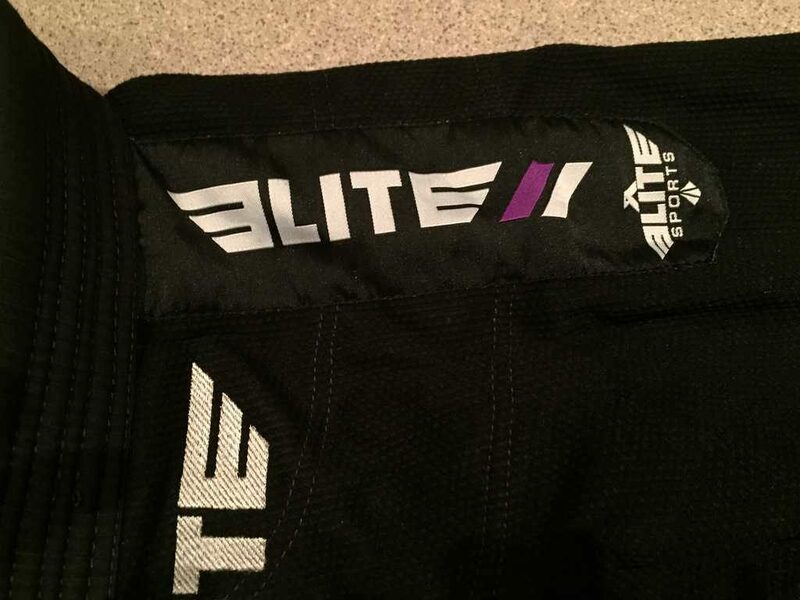 Elite Sports are a relatively unknown Brazilian Jiu-Jitsu, however that doesn’t make their gear any less quality. 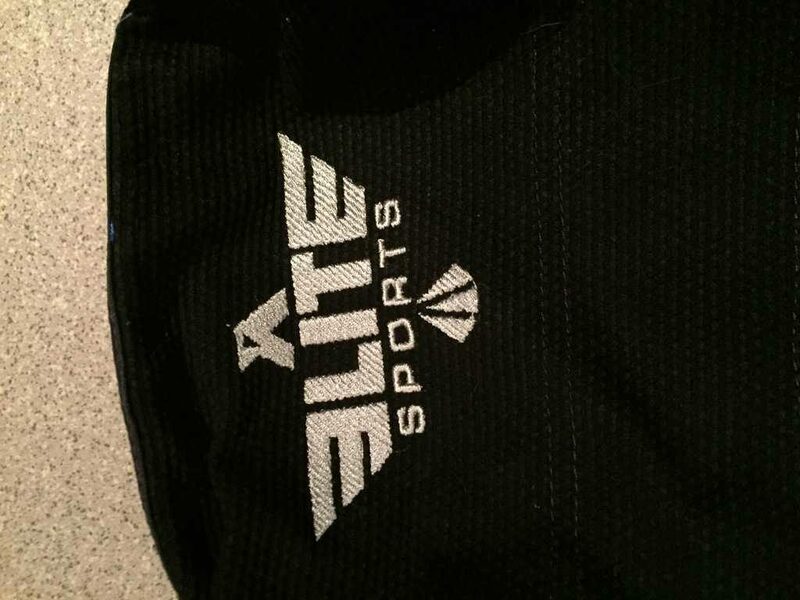 The Elite Sports gi is a modern looking competition kimono that is lightweight and durable for multiple summer training sessions. The gi jacket comes reinforced in al the right stress points and comes with seam tape along the jacket edge and the sleeve edges. 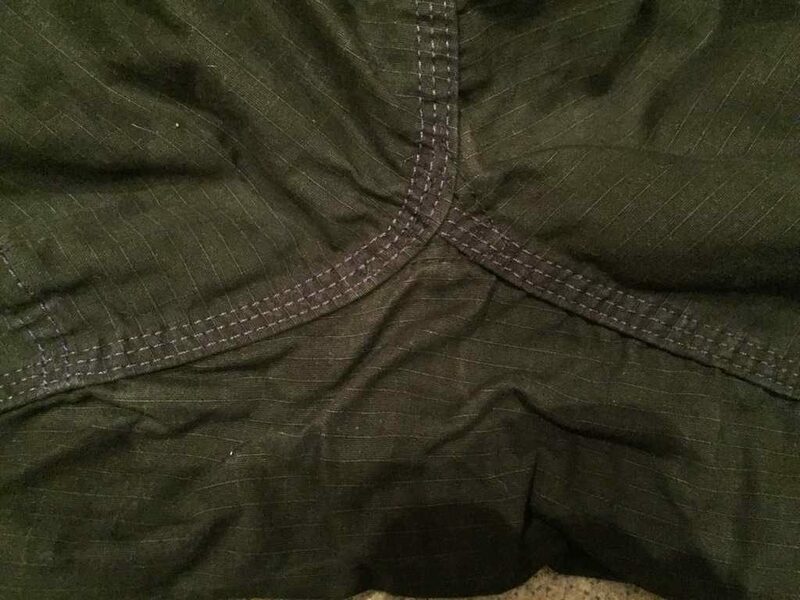 This is the first time that I have worn ripstop trousers and I have to say that they are nice and comfortable with great reinforcements along the knee and crotch area. 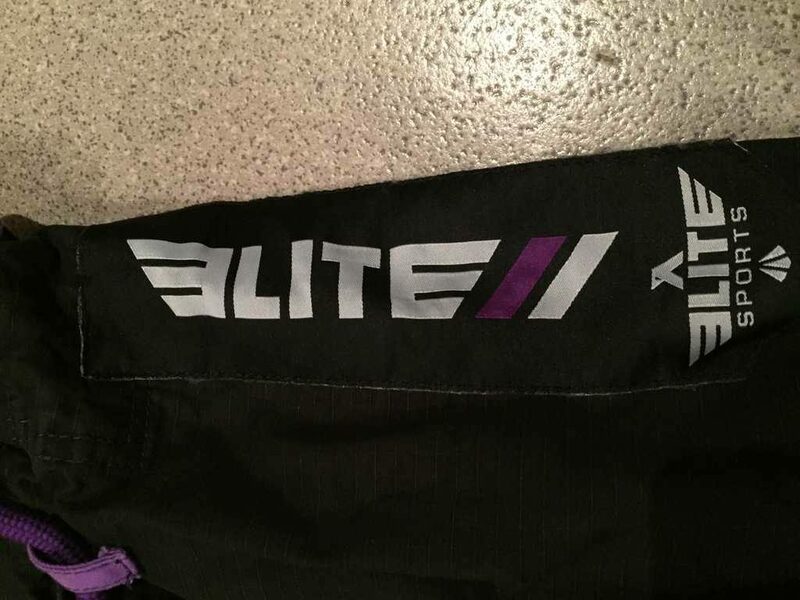 However, Elite sports market their BJJ gi as tailored and while that statement can be true for their jacket, which fits like a well made suit, unfortunately the trousers are just too boxy. A small oversight in the design processes that can be easily fixed in their 2nd version. 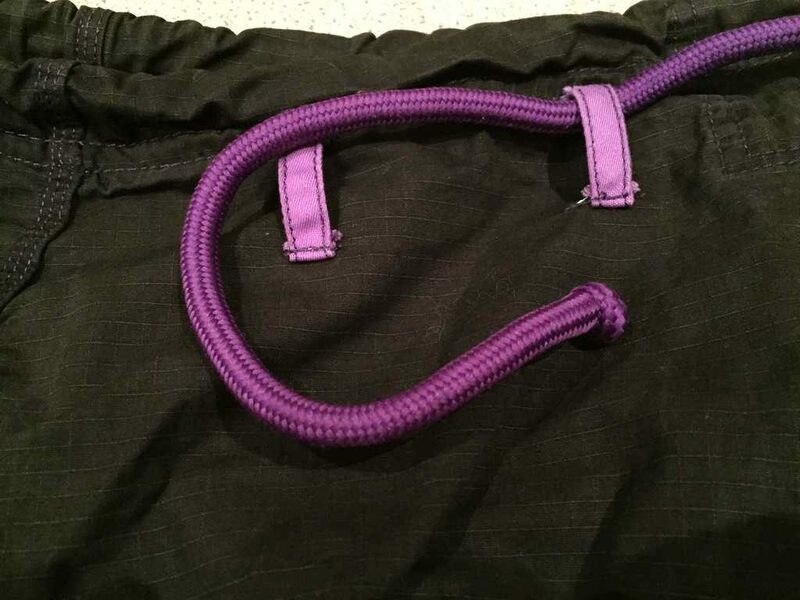 The Jacket is made from a 400 GSM pearl weave and the trousers are made from 400 GSM Ripstop and have a draw string for tightening. 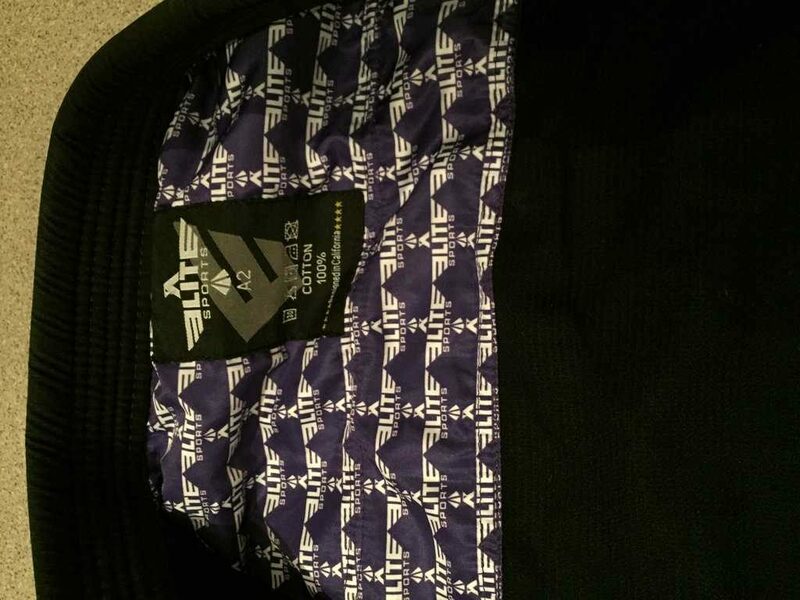 I reviewed the black version, which comes embellished with their white and purple logo embroidered on the lapel and patches on the shoulders. 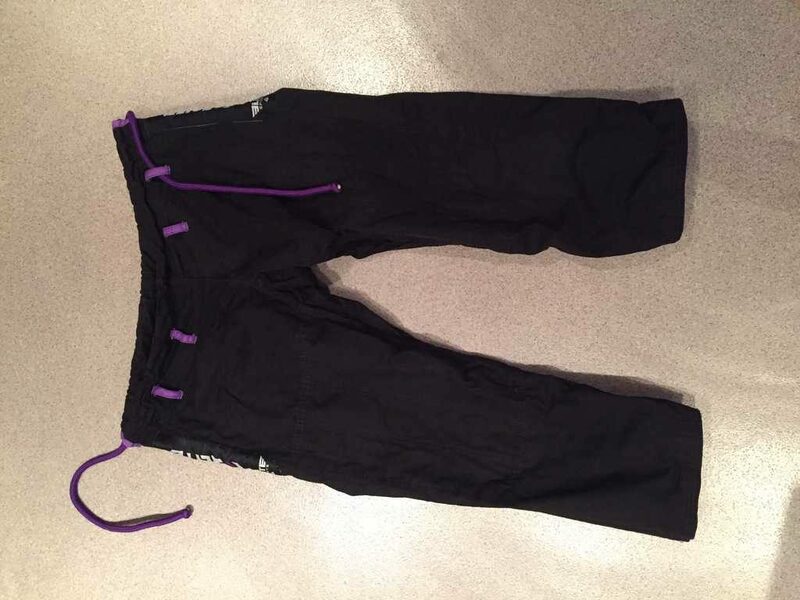 The gi jacket and trousers are treated with an anti oder and anti fungal treatment that will stop the gi funk and defend against ringworm, this is a great addition to the uniform that should be used across the industry. 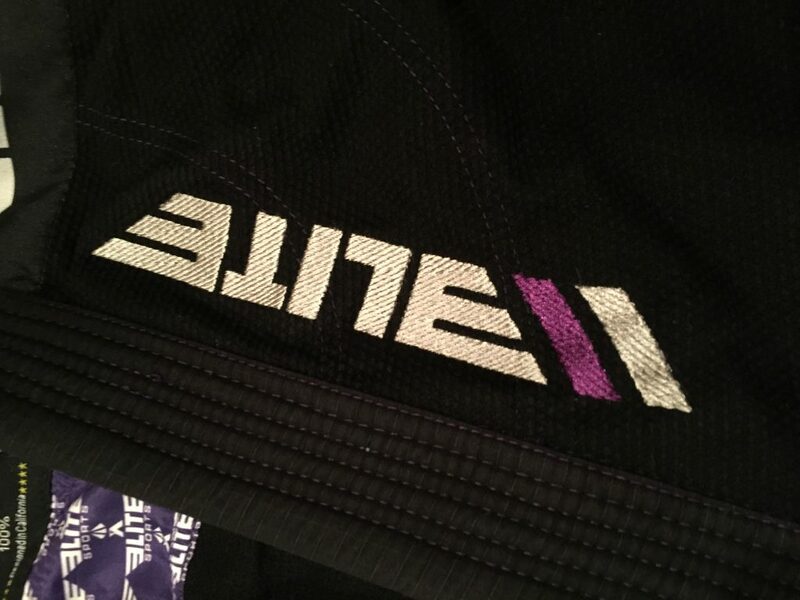 I normally wear an A2L and I was sent an A2 sized gi upon request due to their pre-shrunk statement on their website. 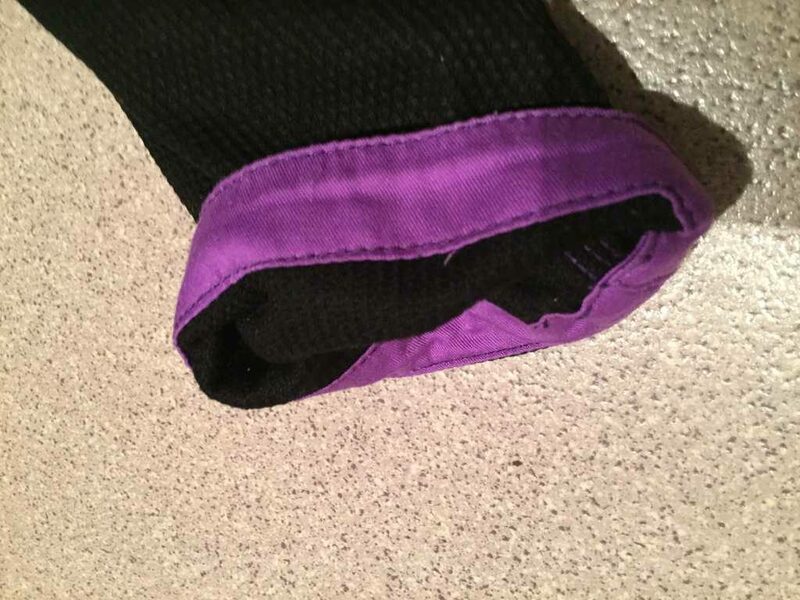 When I first tired the gi on before training I noticed that this gi was slightly on the small size already. 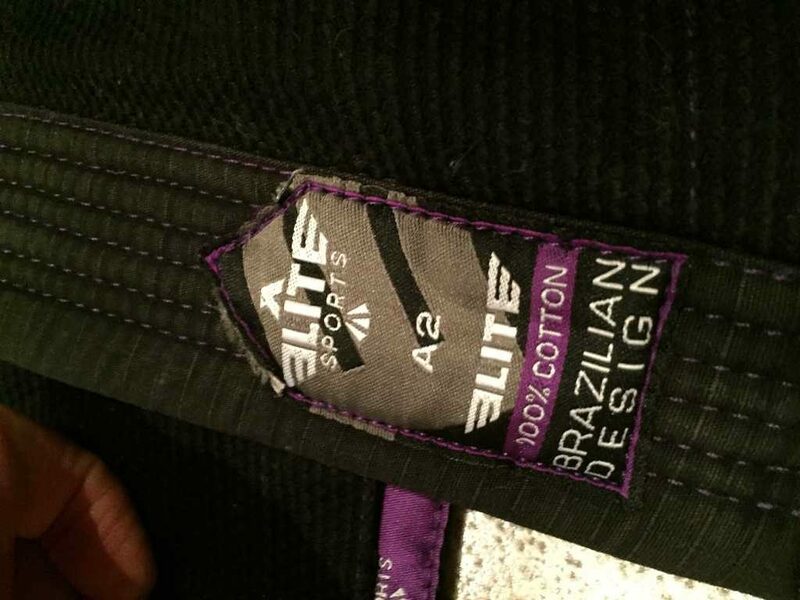 Unfortunately after a couple of washes at 30 degrees the gi definitely wasn’t IBJJF legal. Ideally I should have requested an A3 gi for the length. However on the body and the leg width the gi fit perfectly. Hopefully in their next iteration they will be able to offer L and H mid sizes. 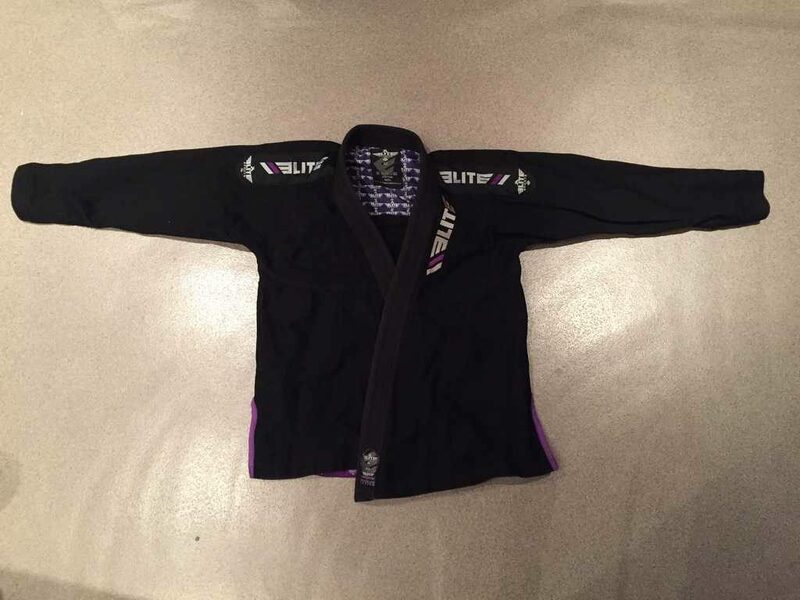 Overall this is an excellent competition gi for the price. 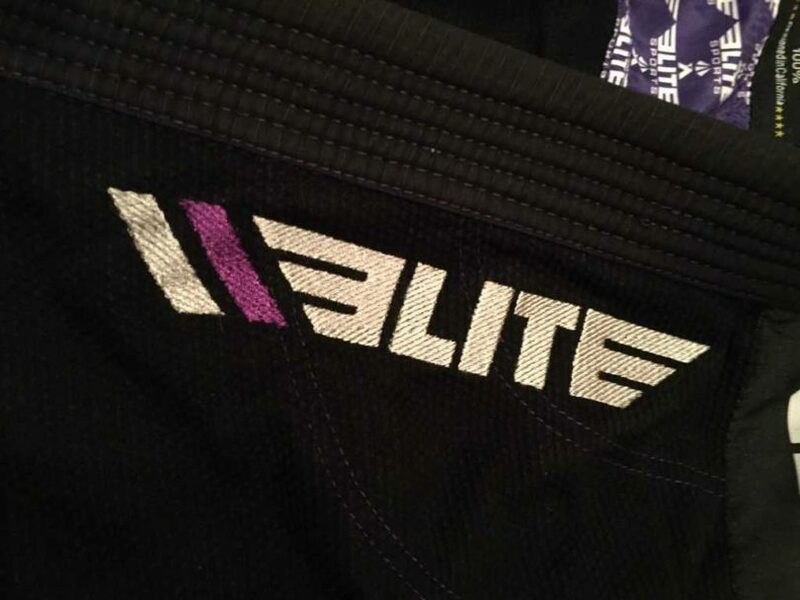 For under $100 this is probably one of the best gi’s you can get for the price. 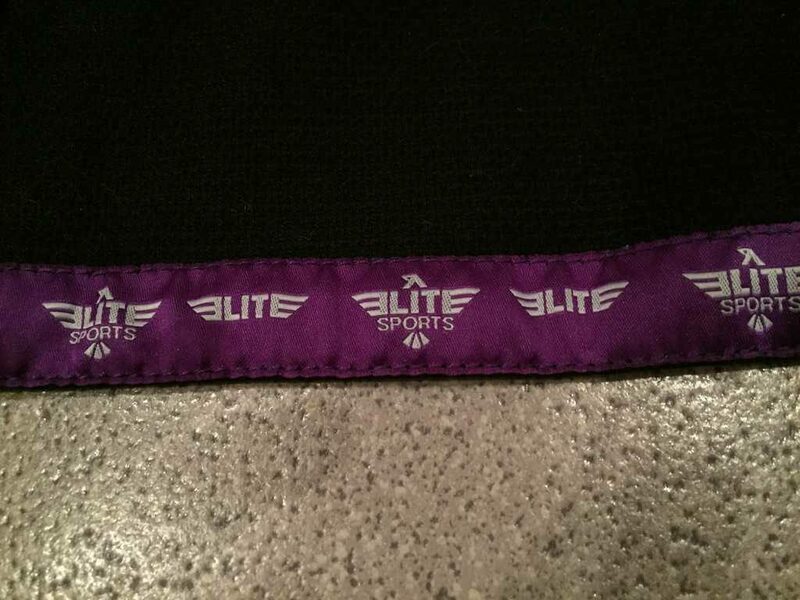 If you order today you will also get a free belt with the gi.